Everyone’s invited to take a trip back to the carefree days of poodle skirts and saddle shoes! 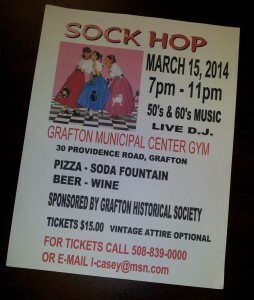 On Saturday, March 15, 2014 the Grafton Historical Society will hold a classic high school sock hop at the Grafton Municipal Center gymnasium, 30 Providence Road, Grafton, 7 p.m. to 11 p.m. A live DJ will spin all your favorites from the 1950s and 60s from Elvis to Little Richard and everything in between. Trivia contest, sing alongs, entertainment. Whether you come to dance, or to stroll down memory lane, or just to groove on the music, it’s sure to be a rocking good time for dancers and non-dancers alike! Vintage attire optional. Cash bar (beer and wine), soda fountain, pizza, snacks. 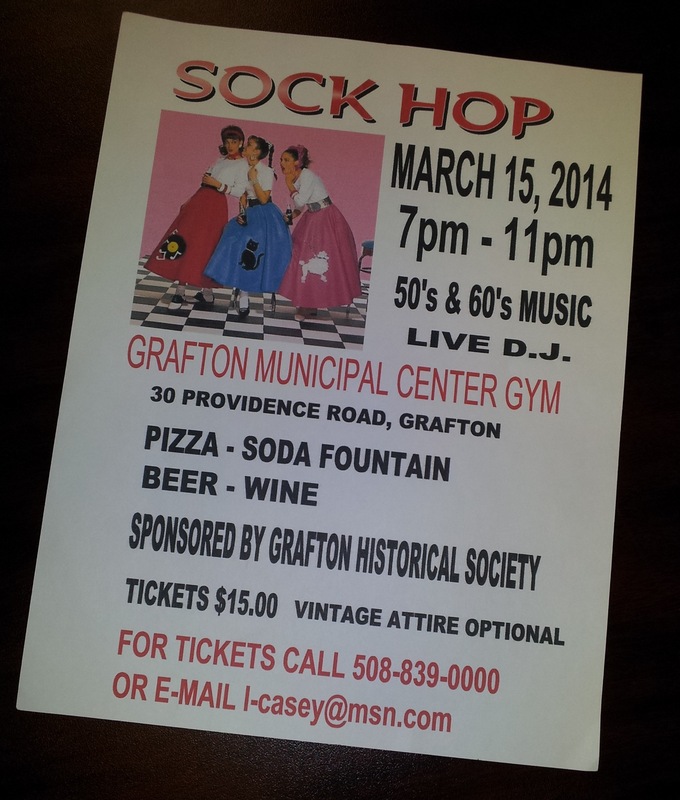 Tickets are $15 and can be purchased by calling 508-839-0000 or emailing graftonmahistory@gmail.com.